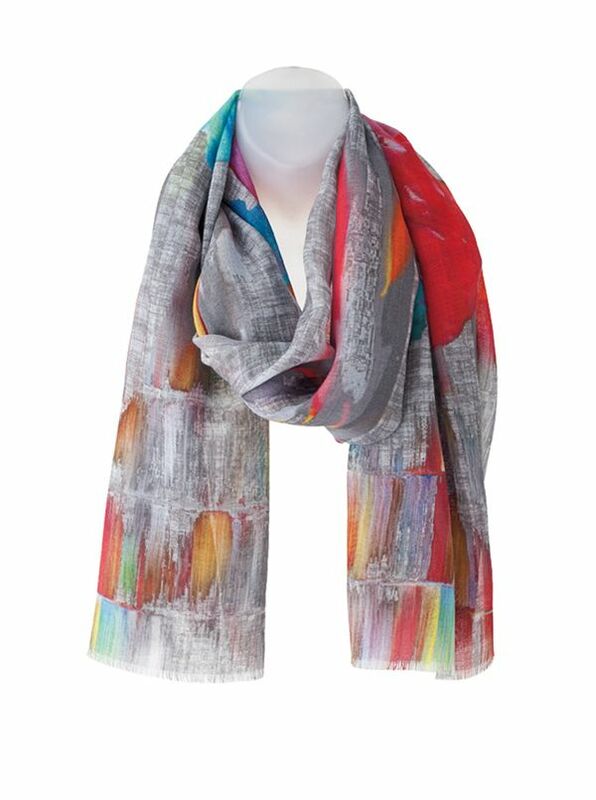 Color Burst Scarf of 92% lightweight wool/8% silk. 27x74. Imported.